Calling all Octo-Cadets! The Octonauts are bringing their first-ever live stage show to the U.S. later this year! 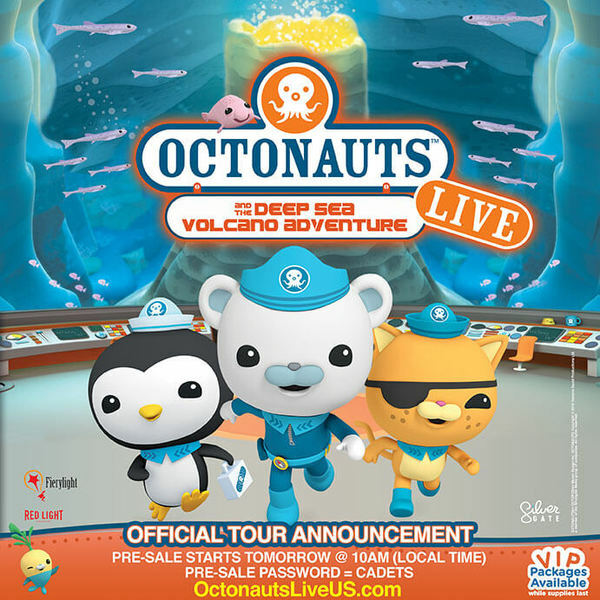 Octonauts and the Deep Sea Volcano Adventure!! The all-new full length theatre adventure features the entire crew of The Octonauts, lead by intrepid explorer Captain Barnacles, Lieutenant Kwazii and Medic Peso, as they embark on an exciting new underwater quest visiting amazing underwater worlds full of adventure, with surprises around every corner. Presale tickets and VIP Packages will be available starting tomorrow 4/27 at 10am (local time). Tour dates are now up HERE!